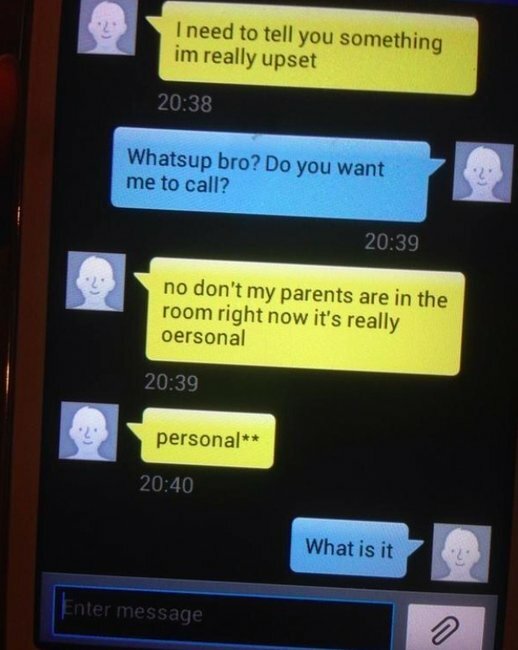 Gay boy comes out to his friend via text. 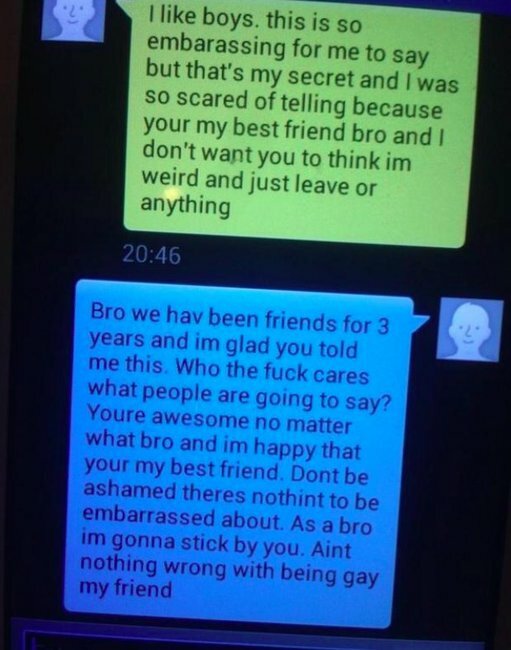 His best friend told him he was gay. The response was perfect. You see, @paleveil’s brother is gay. 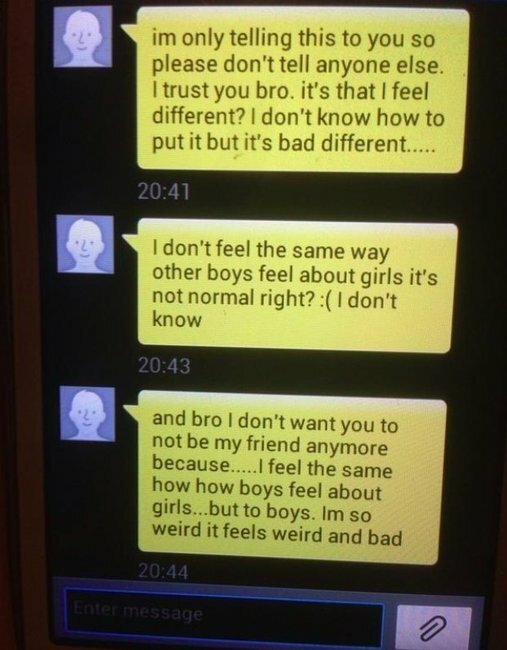 So when he told his best friend about his feelings, his closest buddy had the best response. A response you would hope that every young person hears when they comes out for the first time. And then there was the confession. And finally, acceptance. Sweet, sweet acceptance. This is how you should respond. Every time. What did you think of the exchange?